We use best quality brass, stainless steel and G.I frames to manufacture our unparalleled test sieve. 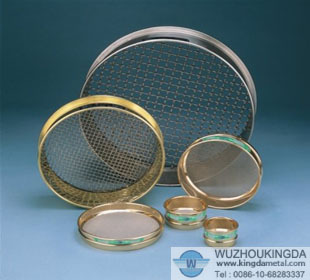 Our test sieve offer very fine and accurate meshes of stainless steel and phosphor bronze. We have specifically designed these test sieves for various household purposes and industrial usage. These test sieves have been manufactured keeping in view the valid standards of China and global market. We are destined for reaching new height of quality and prosperity. Durability and cost effectiveness are the additional advantages of our test sieves.